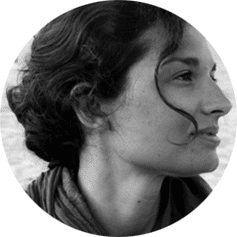 Chiara Farinea is an Italian architect and urban planner. She obtained her PhD in Urban Planning at IUAV (Venice), a Master in Advanced Architecture at IAAC (Barcelona), the Architecture University Degree at Politecnico di Milano (Milan), and she studied one year in ETSAB (Barcelona) thanks to the Erasmus Programme. She is a member of the Association of Architects of Genova for more than ten years. Her research focuses on environmental planning and design. Chiara Farinea is currently Head of European Projects at the Advanced Architecture Group Department at IAAC, her position includes being a coordinator and scientific personnel in several EU projects targeted at education, research, development and implementation and being faculty in IAAC educational programs. She has been contracted professor of Urban Planning at the Faculty of Architecture of Genoa during the academic year 2015-2016. Moreover, she is founding partner at Gr.IN Lab art group, exhibiting installations in 2015 at Venice Arsenale and Turin for the Italia-China Art Biennale. Her previous work experience includes being Project Manager at D’Appolonia (Genoa). For the firm she developed International Cooperation Projects, Smart Cities Initiatives and EU financed Research Projects targeted at Sustainable Development. Moreover, she coordinated D’Appolonia team in developing the proposal for the Progetto Flaminio – Rome City of Science International Competition, that won 1st Prize with Studio Viganò. Other working experiences include holding the position of Project Manager/Senior Architect at Open Building Research architectural office in Genoa between 2007 and 2009 and holding the position of Junior Architect at KSP Engel und Zimmermann architectural office in Berlin between 2004 and 2006.